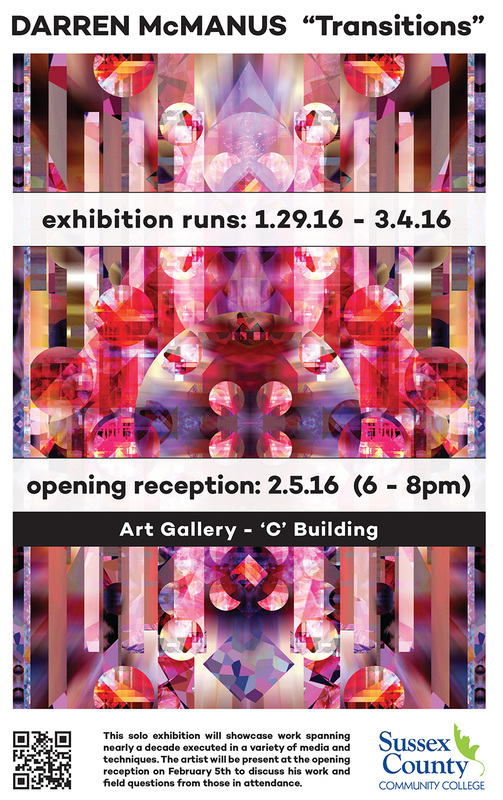 Darren McManus’ work “Transitions” will be on display in the SCCC Art Gallery from Friday, January 29 to Friday, March 4. There will be an opening reception on Friday, February 5 from 6:00 p.m.-8:00 p.m. Darren will be presenting his work during the Opening Reception. The reception is free and open to the public. 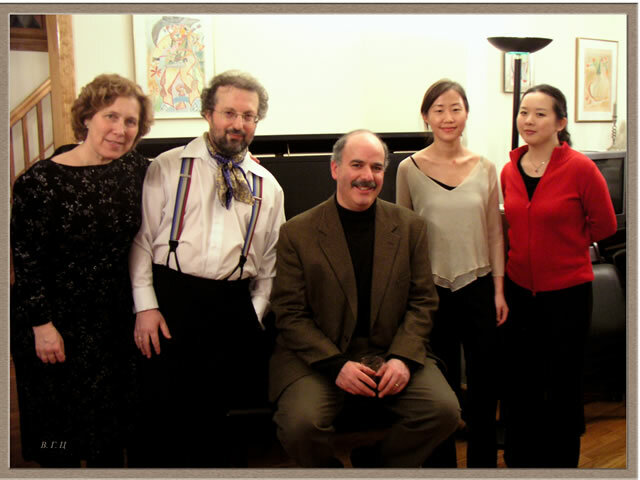 arren is a painter and full-time professor living and working in Lambertville, New Jersey. He received his B.F.A from the University of Hartford / Hartford Art School completing a double major in graphic design and experimental studio and spent his junior year studying at the Glasgow School of Art in Glasgow, Scotland. McManus received his M.F.A. in painting from Cranbrook Academy of Art. For his visionary, often unconventionally shaped acrylic paintings, McManus has been awarded numerous grants and awards including: a perfect score from the jurors and the highest Individual Artist Fellowship Grant from the New Jersey State Council on the Arts; an Individual Artist Grant from the Puffin Foundation; a Fellowship from the Virginia Center for the Creative Arts; a Mid-Atlantic Arts Foundation Creative Fel­lowship in conjunction with The Millay Colony for the Arts; and most recently, a Full-time Faculty Research Grant from Raritan Valley Community College to develop a new body of work. His paintings have been widely exhibited in galleries and museums across the United States and have twice been selected by the Boston based Open Studios Press for inclusions in their prestigious, juried publication New American Paintings. our own RVCC art gallery. The exhibition entitled SILENT LANGUAGE will run from October 3, 2014 to October 24, 2014. Virginia Smith, Instructor and Coordinator of the Interior Design Program is featured in the Academic section of the Raritan Valley Community College Annual Report. Click on the link below to see the article. 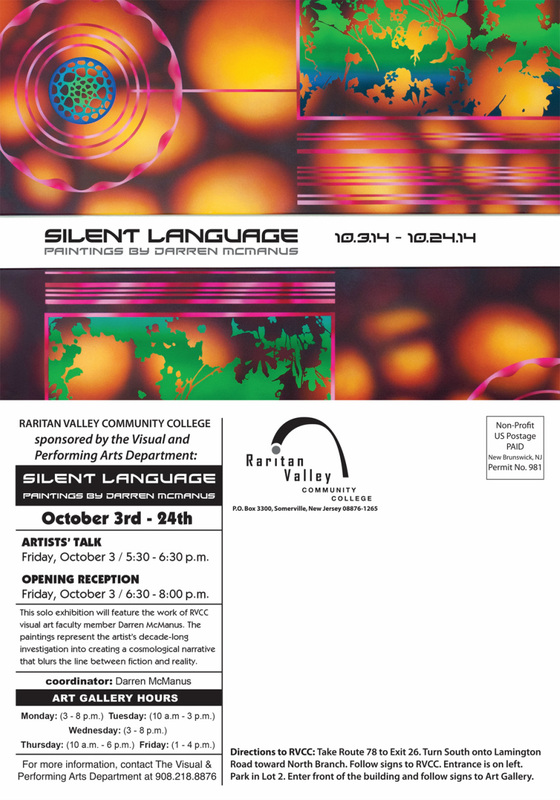 Darren is an instructor of Graphic Design and the RVCC Art Gallery Director. Darren has been busy. 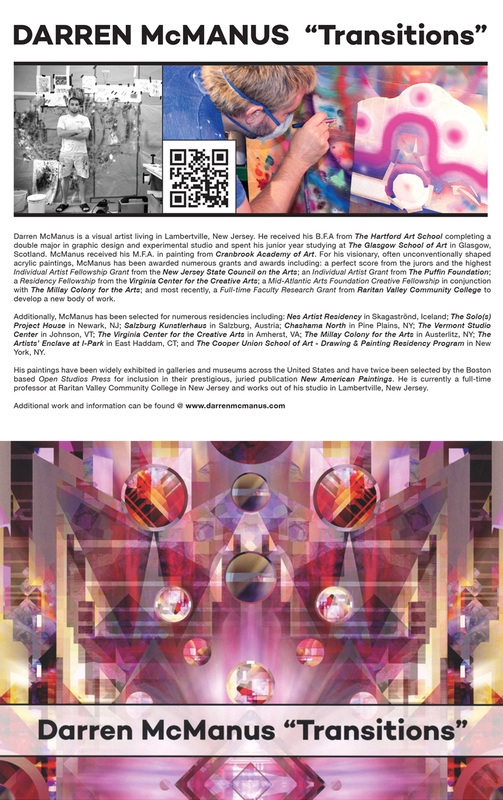 He is being featured in Radius Magazine and has a show at the Hunterdon Art Museum. Darren McManus’s work in Tangents spans a decade in the making and represents a paradox of sorts. In his paintings, color is used to create harmony and extreme contrast: Hard-edged forms share the same space as blurry, amorphous masses; and, natural imagery such as flowers and plant life coexist with technological or mechanized motifs. The surfaces of his paintings are super flat, but possess holographic effects which viewers can appreciate when wearing 3D glasses. 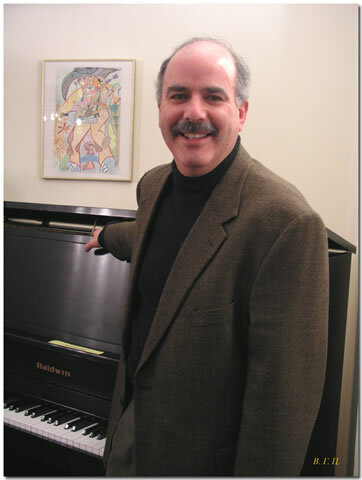 McManus teaches at Raritan Valley Community College and was a recipient of an Individual Artist Fellowship from the New Jersey State Council on the Arts. His work can be found in numerous private and corporate collections. Just click on the link below to get to the show's website.